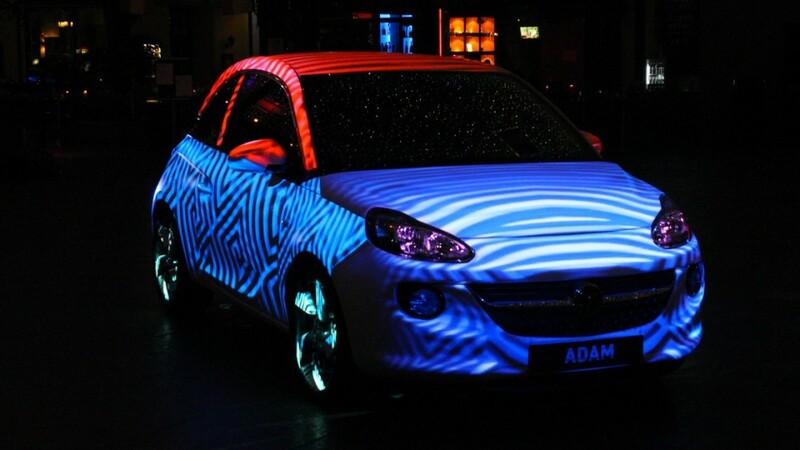 Vauxhall Adam Illuminates: a projection project by Lumen, Dave Lynch and Bec Smith from Urban Projections. 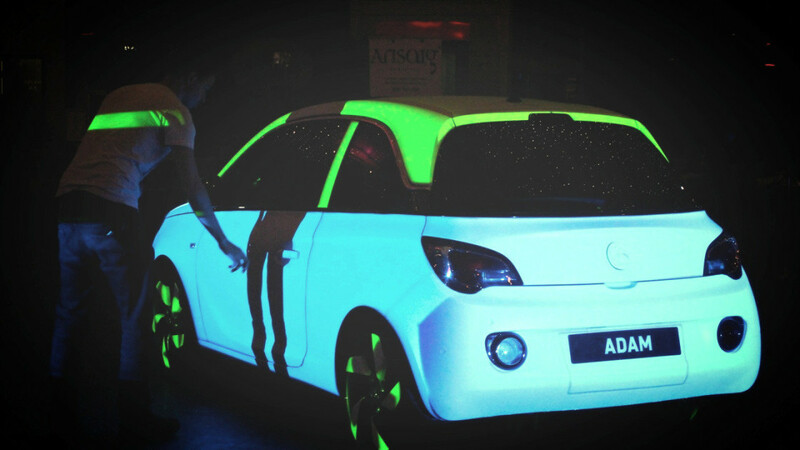 Video projection onto all 4 sides of the car was done via our Sanyo XF47 15,000 lumen projectors. the projection set-up was designed and installed by Lumen’s Phil Slocombe. The content was created by Bec Smith at Urban Projections and Dave Lynch. 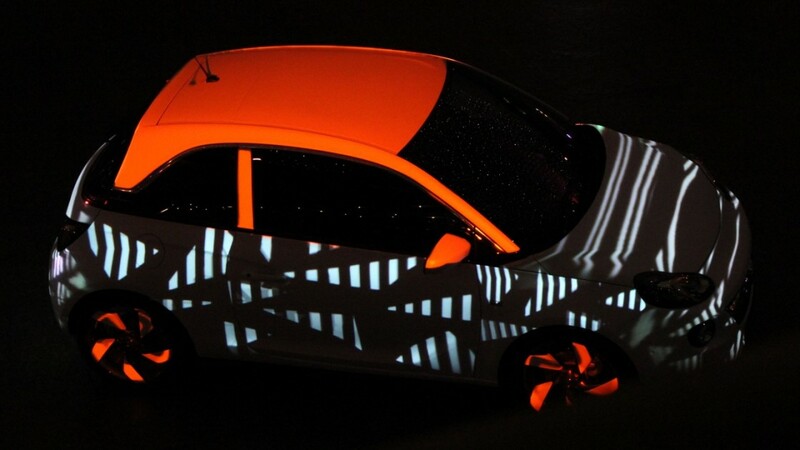 Dave also created the 3D-video mapping for the project. This event was live. No camera tricks or after effects were used or harmed in the making of this video. Video by Minky Productions. Photo by Urban Projections. 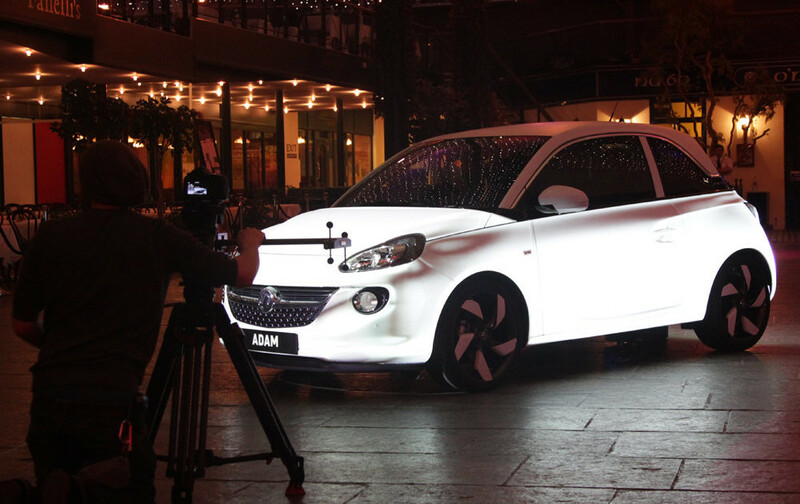 Thanks to Tro Group & Vauxhall.